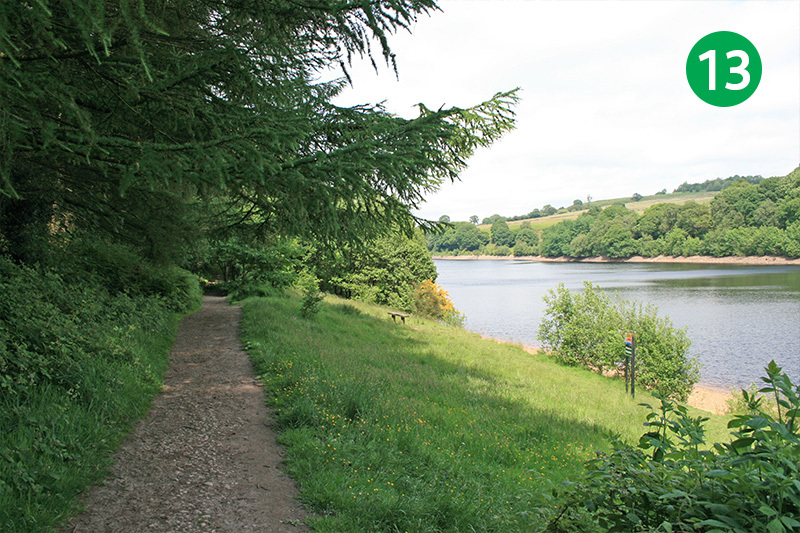 Recorded in mid June on a day that changed from cloudy and overcast to bright sunshine, this easy circular walk around the western side of Fernilee Reservoir is always fairly quiet, making it ideal for dog-walkers. 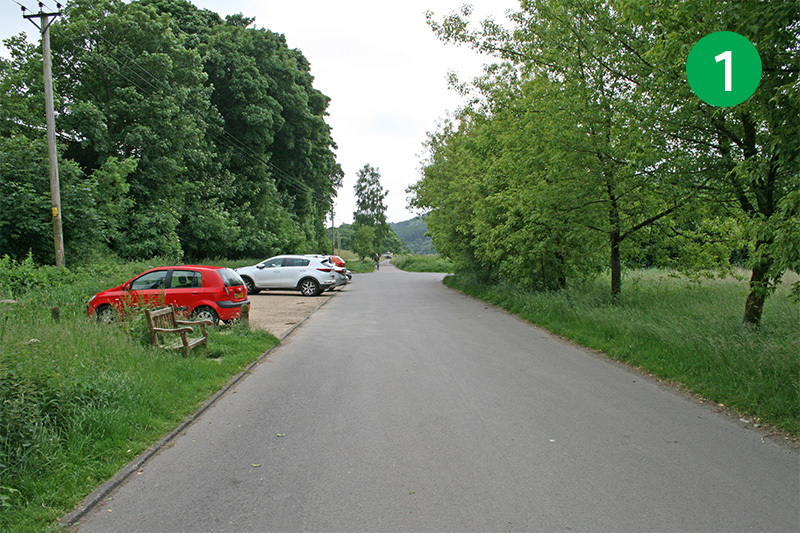 Starting from the small carpark at the northern end of Fernilee Reservoir, the first section is along a fairly wide, mile-long gravel track through the trees. 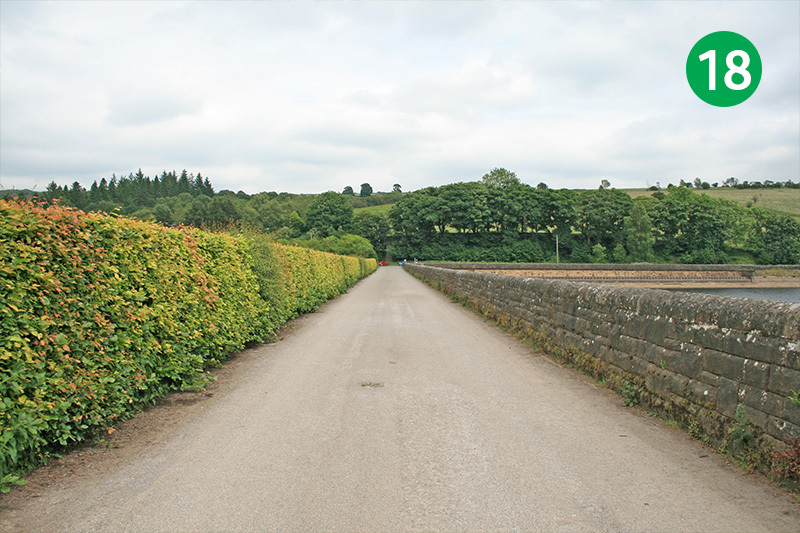 It returns along the attractive shoreline path, which was once the main route through the valley, connecting the hamlet of Goyt’s Bridge with Whaley Bridge via the Fernilee Gunpowder Mill. 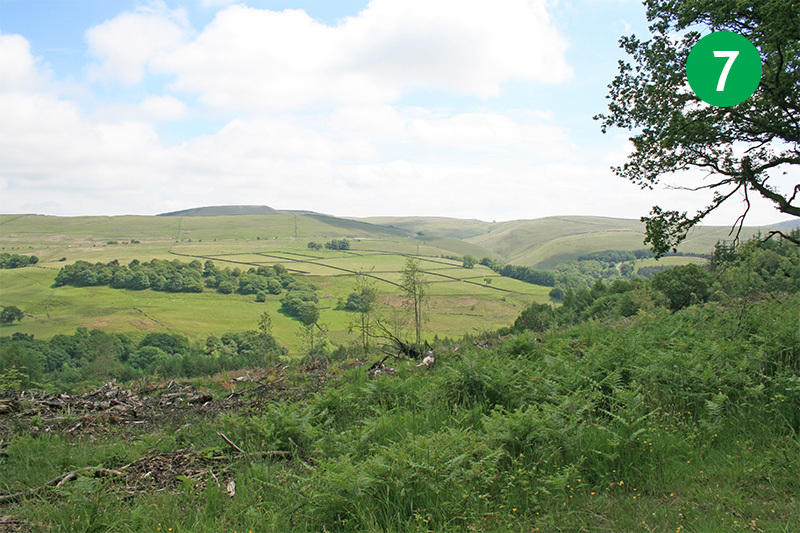 There are some wonderful panoramic views – both from the higher section across the valley, and from the lower section over the reservoir. 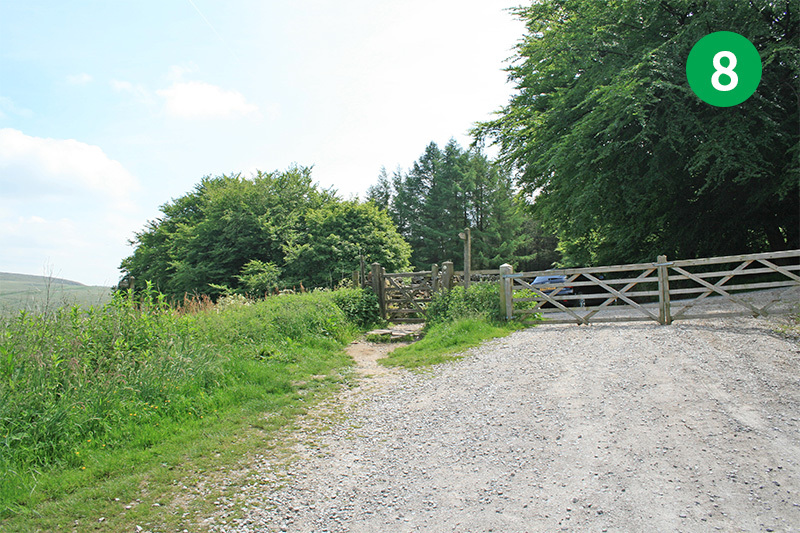 2: You’re now on the track of the old Cromford & High Peak Railway line. Walk a little further and turn right to cross over the dam wall. On your left, beneath the reservoir, lie the ruins of a gunpowder mill which once employed some 100 men. 3: At the end of the road over the dam wall, follow the lane straight ahead. There are spaces for a few cars here, as well as a couple of benches. 4: Follow the lane as it curves around to the right and head up the slope. 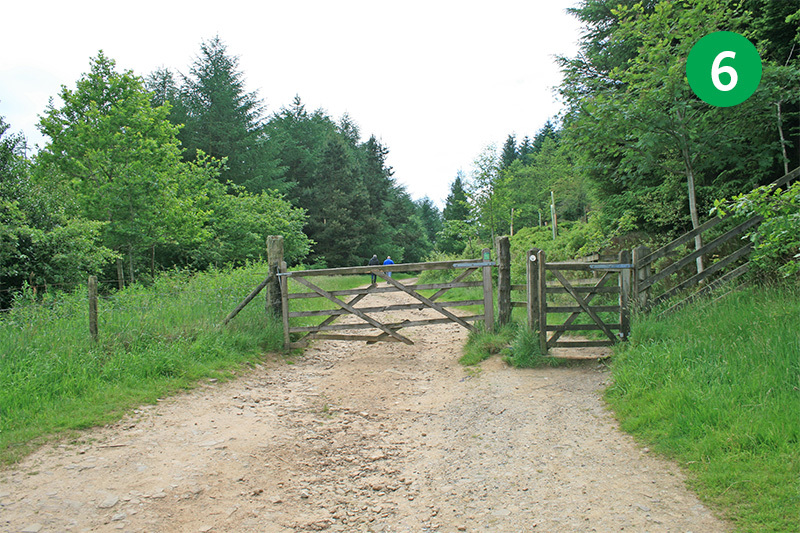 At the end of this walk, you will exit through the gate on the left. 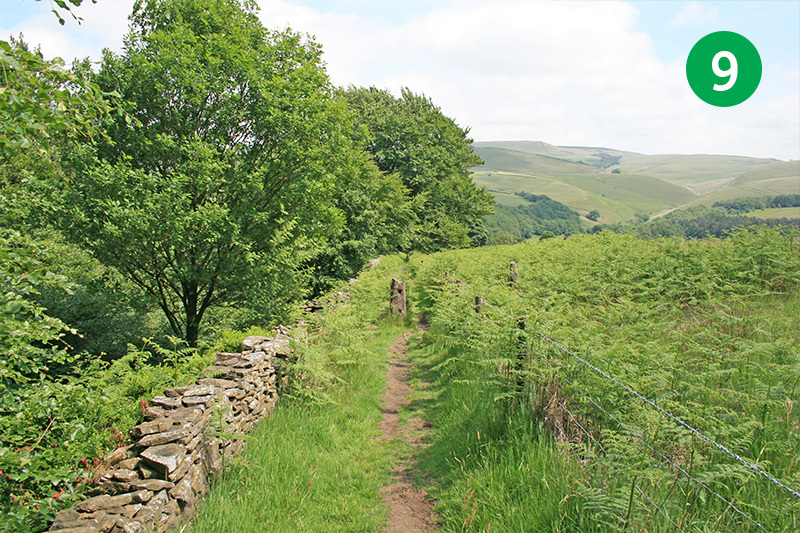 5: As you reach the top of the slope, turn sharp left following the footpath sign to Hoo Moor & Errwood. 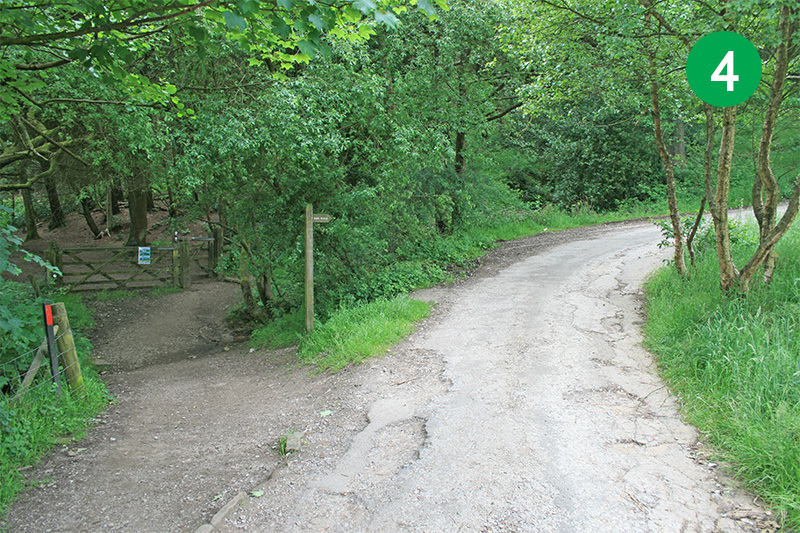 6: Go through the gate and follow the track for about a mile as it passes through the woodland. 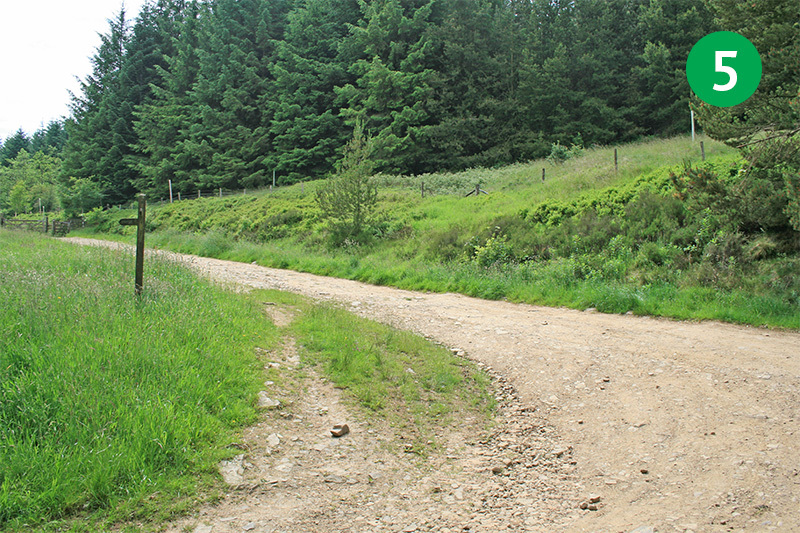 7: The Forestry Commission has been cutting down fir trees in this area recently to allow natural woodland trees to flourish. This has opened up some wonderful views across the Valley. 8: At the end of the track, just before the gate leading to the old Roman road known as The Street, turn sharp left down a narrow footpath. 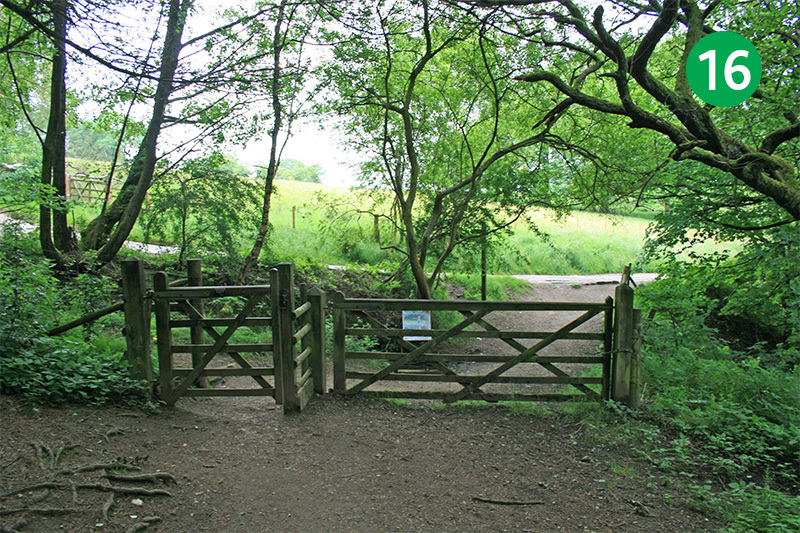 If it’s too wet, muddy or overgrown for you, go through the gate and turn left down the road, and then follow the sign to Fernilee Reservoir. 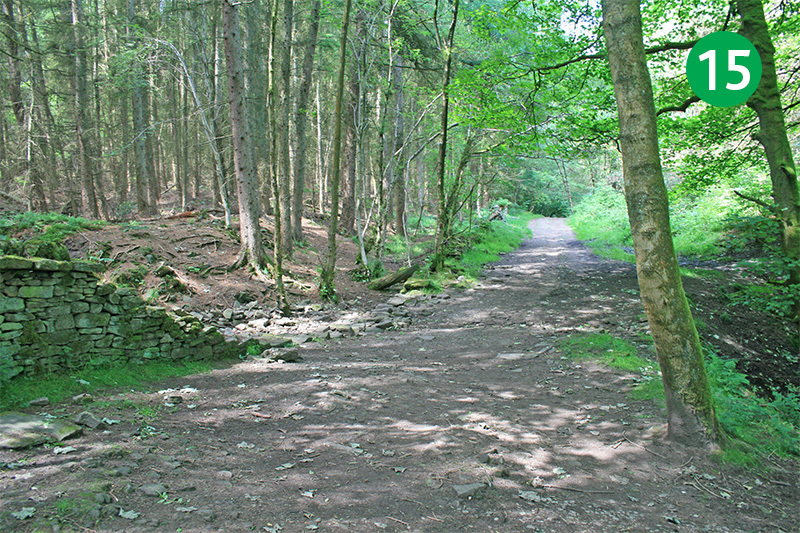 9: Follow this attractive footpath, keeping the stone wall on your left. 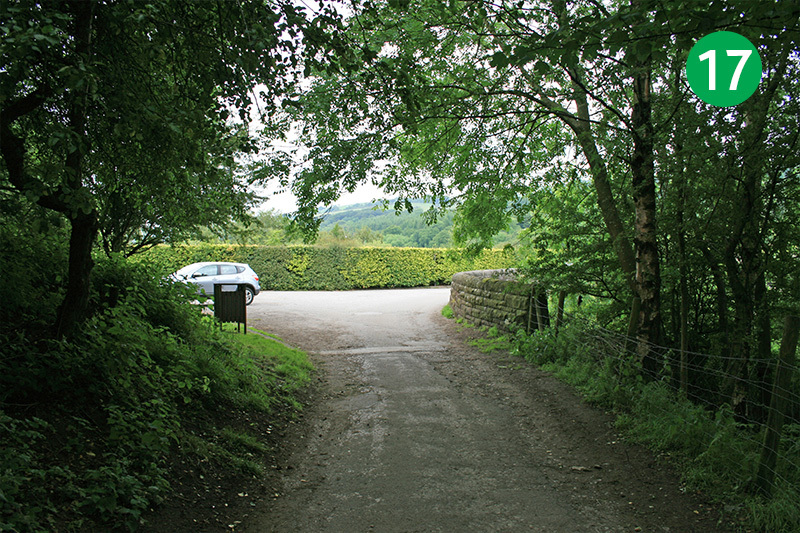 Errwood Farm, which was used by Samuel Grimshawe to oversee the building of Errwood Hall, once stood on the fields to the right. 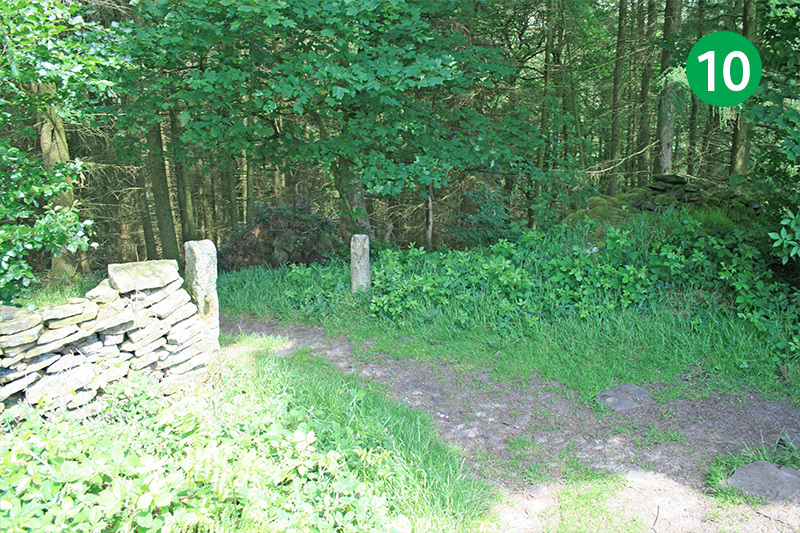 10: At a junction of paths, turn left between two small stone gateposts, following the path down the slope. 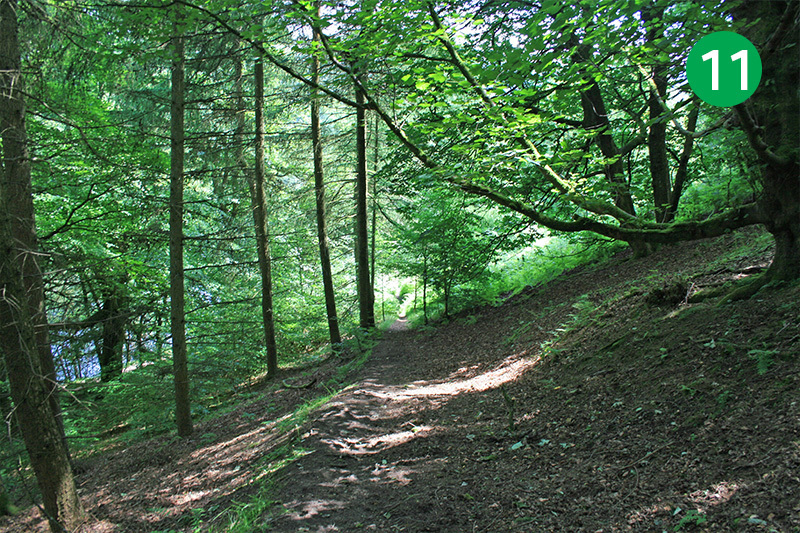 11: Continue through the trees, heading down the slope, until you reach the path running along the shoreline of Fernilee Reservoir. 12: Turn left along the path. 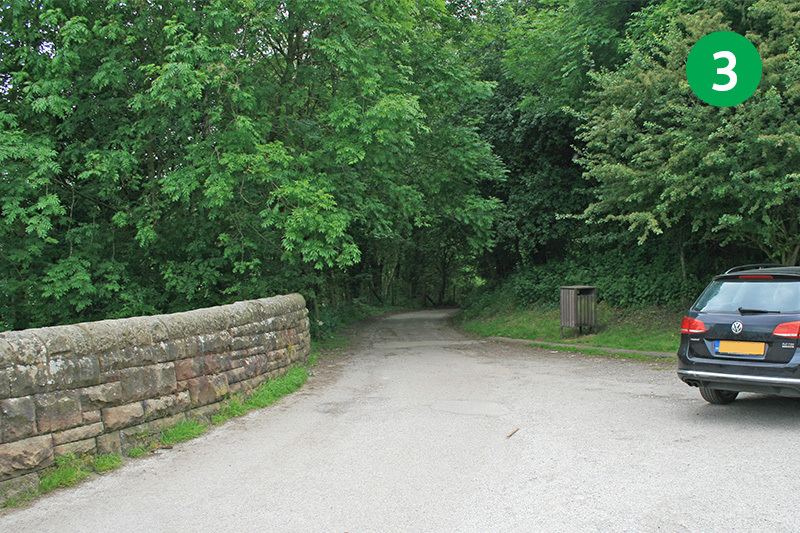 This was once the main route between the drowned hamlet of Goyt’s Bridge and Whaley Bridge, past the gunpowder mill. 13: There are some benches along the path with wonderful views across the water. Perfect to rest a while and enjoy the healthy, Peak District air! 14: After some distance the path starts to rise up a series of steps and slopes, and away from the reservoir. Follow the track to reach the junction of a wider path. 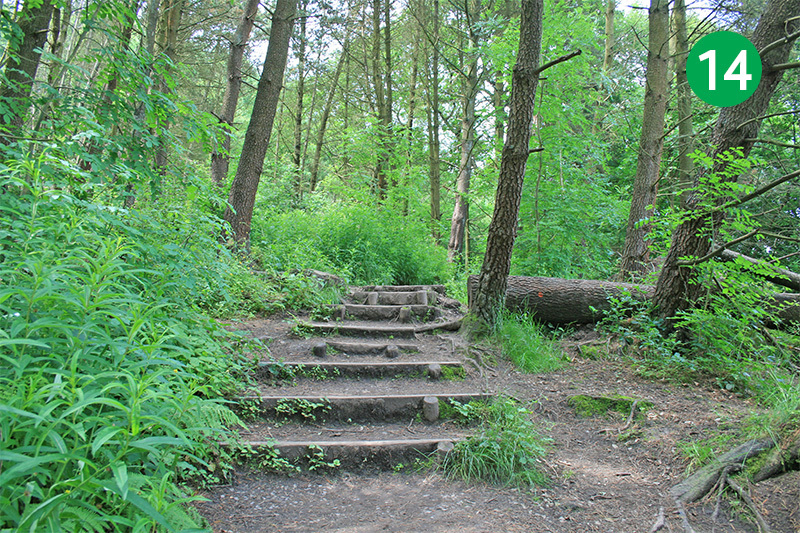 15: This is known as the woodland path. (Walk 16 includes this path.) Turn right and follow it through the trees. 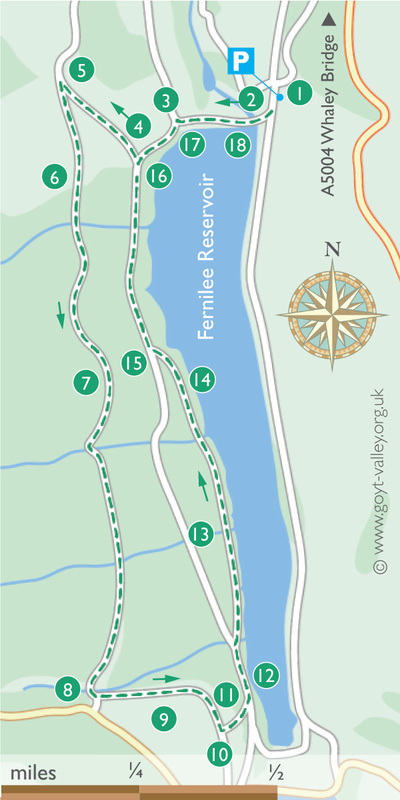 17: Continue to the end of the lane and turn right across the dam wall. There are a few benches on the slope above the small car park which make great places to rest awhile and enjoy the view. 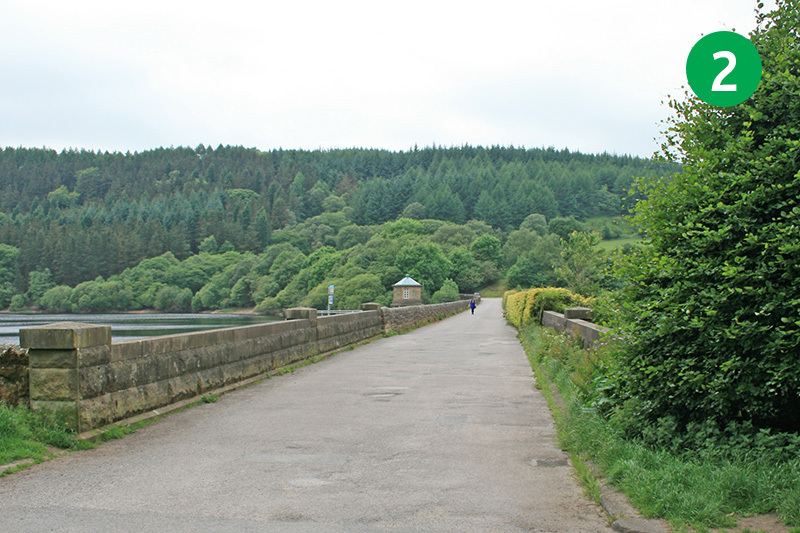 18: Follow the road over the dam wall to return to the small car park at Fernilee. 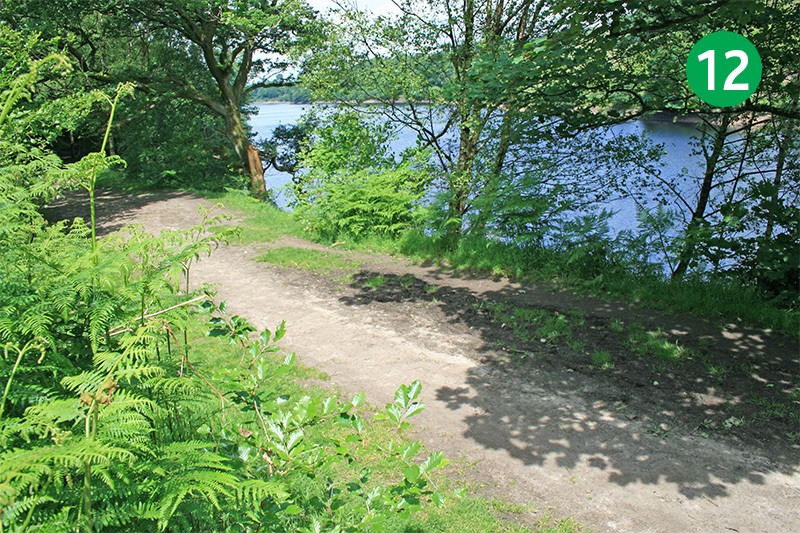 If you fancy extending the walk, you could turn right along the old railway track which runs beside the eastern shore of the reservoir.